Administrative and office facilities are an essential part of any business. Having one’s own office in a lucrative place not only provides employees with a comfortable environment, but also increases the image of the company and, very often, the internal processes as well. Searching for such a space may prove more difficult than it first seems, especially if you’re looking in Bratislava. Of course there are a number of office buildings offering space, however, most of them were built as large, soulless administrative centres, which quite often have no immediate connection to the main activities of your company. BTS CARGO & HANGAR SERVICES, A.S. is offering office space fully equipped to provide any company with what it needs, right in the immediate vicinity of the Milan Rastislav Štefánik International Airport and Avion. Office space managed by BTS CARGO & HANGAR SERVICES, A.S. is able to attract potential tenants by offering numerous advantages. The first significant positive concerning the officesoffered by BTS CARGO & HANGAR SERVICES, A.S., is their excellent location. The individual buildings are located right next to the new commercial-shopping centre Pharos Park, and just a hop and skip away from the airport and the Avion and Ikea shopping centre. There is also excellent public transportation connections. Just a few hundred metres from these office buildings is an exit to the highway and driving down Galvaniho street to the centre can lead you in any direction you’d like to go. The location and the accessibility is not only an advantage for employees, but also for clients, who can find you quickly and easily. Together with the offices you can also rent parking spaces, which will be reserved only for you. Another positive aspect of the office spaces for rent near Avion and the airport is their enormous flexibility. The overall floor space of up to 10,900 m2 contains flexible offices, which are suitable for both small businesses and huge companies alike. The manager of this facility BTS CARGO & HANGAR SERVICES, A.S., also offers tenants the possibility to modify the office space to suit their needs before moving in as well as the complete management and maintenance of the complex, thus leaving the tenant free to focus on core business. This complex of office buildings also contains warehouses and storage space, which could be advantageous for companies trading in goods. Choosing an office or warehouse in our complex does not just mean concentrating all activities under one roof and streamlining internal processes and procedures, but also speeding up logistics and the shipping of goods. Are you interested in the main advantages of renting from BTS CARGO & HANGAR SERVICES, A.S.? Contact us and we will tell you about many others. 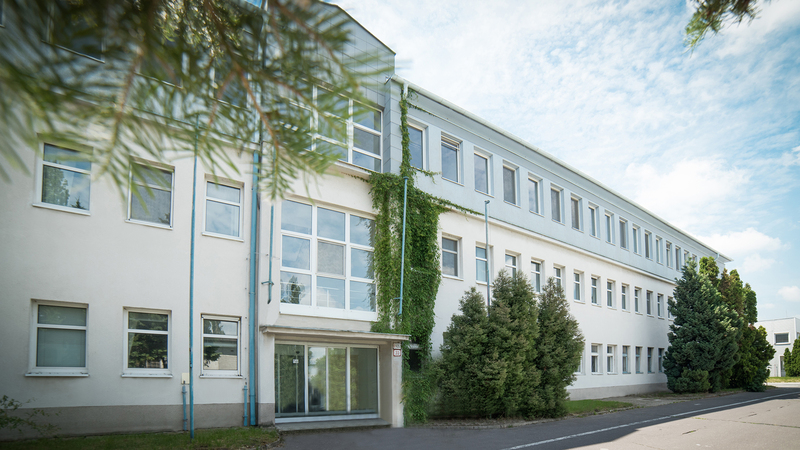 Join the ranks of successful companies such as Austrian Technik Bratislava, Profimed and Go2Sky and choose our address for your company or business.